Includes 3 placement tapes in blush, mint, and navy. Each roll is 0.875 x 18 inch. 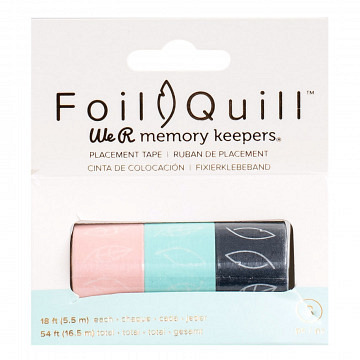 Use placement tape to keep foil secure while using Foil Quill Heat Pen.